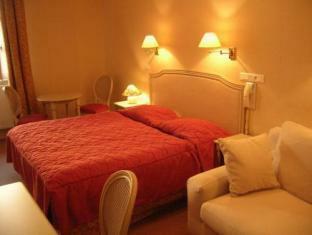 Discover all that Paray-le-monial has to offer with Hostellerie Des Trois Pigeons Hotel as a base. All hotel's guestrooms have all the conveniences expected in a hotel in its class to suit guests' utmost comforts. In-room facilities include non smoking rooms, satellite/cable TV, bathtub. This beautiful Paray-le-monial accommodation provides elevator, pets allowed, business center to suit all guests' utmost convenience. Leisure and sports facilities available on the hotel's property comprise garden. Modern comfort and convenience are seamlessly combined to ensure the guests' satisfaction. To make your reservation at the Hostellerie Des Trois Pigeons Hotel via our secure online booking form, please submit your visit dates.